The Winner 12U Girls Softball team competed in the South Dakota State Girls Fastpitch Tournament in Sioux Falls at Harmodon Park on July 14-15. The first round Winner Lightning played Madison Thunderstruck and came out on top 10-8. The next game featured Winner Lightning against the Rapid City Punishers. This was an exciting game where Winner came out on top 15-12 after 2 sudden death extra innings! Immediately after this emotional win, Winner Lightning played Dakota Valley and lost 12-0. (Dakota Valley ended up winning the Championship game in the 12U-C division.) Winner Lightning then faced Elk Point-Jefferson and came up short 11-3 to end the season. Winner Lightning 12U team finished their season with a 14-11 record. Girls participating in the state tournament were Mali Beehler, Karlee Brozik, Melanie Brozik, Shayne Day, Miranda Fisher, Ainsley Henderson, Joselin Kludt, Tessa Mann, Aleya Miller, Rylee Root, Emily Sachtjen, Cassidy Seeking Land, and Cici Watson. The 12U team was coached at the state tournament by Karla Brozik and Kristen Hausmann. There is a lot of excitement among members of the Winner/Colome Legion baseball team as the state B tournament comes to Winner. Winner will be the host for five days as iconic Leahy Bowl will be site for the state meet. The state tournament starts Friday, July 21 and runs through Tuesday, July 25. The grounds crew plus parent volunteers have been working hard to get the field ready. 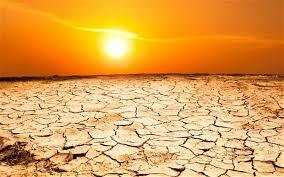 It has been hard since it has been so dry. “Hosting the state tournament is a cool experience,” said coach Drew Weber. 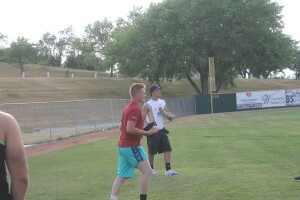 “It is a good opportunity to showcase our baseball community which is one of the top ones in South Dakota,” he said. The last time Winner hosted the state tournament was in 2011 and 2006. It was in 2006 when Tresh Swedlund was the coach of the Legion team that Winner won the state meet. Jared Donahue was Winner’s leading pitcher in that game. Donahue, who now lives in Hartford, plays for the Winner/Colome amateur baseball team. As the host team, Winner/Colome has an automatic berth in the state meet. It does not have to go through the region play to earn a spot. Winner/Colome has drawn a team from Region 5B to play in the last game of the day on July 21 at around 7:30 p.m. Region 5 is made up teams from Humboldt, Colton, McCook/Montrose, Tea, Baltic and Aurora. Last year Winner/Colome played in the state tournament in Webster and Weber says that state experience should help the team. Milbank is the defending state champion. There are 12 players on the current Winner/Colome roster with 11 Legion members and Dalton Baker was called up from the Junior Legion team. Weber says the state meet will be a tough tournament. “There are some really good teams in it this year,” he said. Milbank returns their best pitcher and Dell Rapids, who won the high school club ball tournament, is loaded with good players. Even though teams were still playing regional games and the final eight teams were not known at the time of this interview, Weber talked about some of the top teams who could punch their ticket to Winner. Humboldt and McCook are both in the same region and the coach says they both are really good. Weber noted if Vermillion comes out of their region they will be good. Tabor, Parkston and Platte are all in one region. Weber thinks the three teams making it to state will be whoever comes out of the McCook/Humboldt region, Dell Rapids and Milbank. The coach noted the Royals will have their work cut out for them. 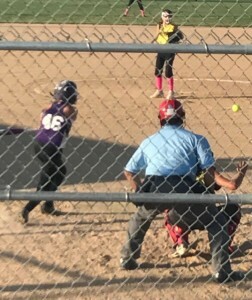 To keep fresh, the Winner/Colome team played in Miller on Friday and Sunday played a double header in Ainsworth, Neb. The week of the state meet there will be several days of practice. Weber says the team will be ready to go. “The team is excited. I can’t wait to get going,” added Weber. 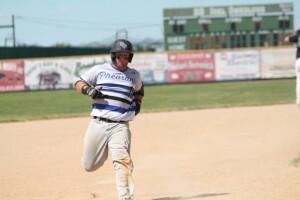 Winner/Colome amateur baseball team scored the first six runs of the game and defeated Platte 11-1 Thursday night in Winner. Austin Richey had four hits to lead the Pheasants. Winner/Colome amateur baseball team defeated Pierre 8-3 on July 11. Drew Weber earned the complete game victory on the mound. The game with Pierre was a non-league game. In the Sunshine League standings, Winner/Colome is rated 3rd with an 8-5 record. Winner/Colome is getting ready for the Sunshine League tournament which starts July 20 in Parkston. 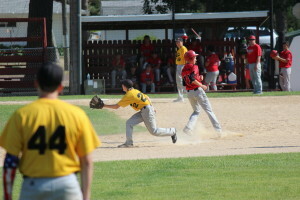 Winner/Colome Legion baseball team was defeated by Aberdeen Smittys 13-10 Thursday in Miller. The Royals had a 4-5 game from Kelly O’Bryan and Levi McClanahan had two hits including a triple and drove in two runs. Riley Calhoon scored three runs and Drew DeMers added two hits. Carter Brickman took the loss allowing four earned runs in three innings, striking out two. Ty Bolton and Jeremiah Yeaman pitched in relief. 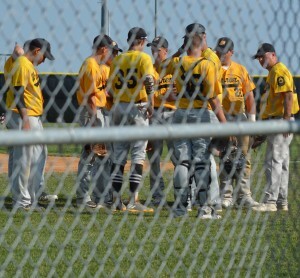 Winner/Colome Legion baseball team picked up two against Ainsworth, Neb. Sunday. 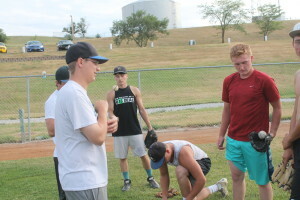 This was a good day for the offense as they sharpen their skills in preparation for the Class B Legion baseball tournament which starts Friday in Winner. In the first game in Nebraska, Winner/Colome won 28-0 in two innings. Nick Lantz threw two innings and gave up no runs on 2 hits, 1 walk and 2 strikeouts. At the plate, Levi McClanahan had a double, 3 singles, 4 runs scored and 5 RBIs. Drew DeMers had a double, single, and 3 RBIs, Kelly O’Bryan had 2 singles and 2 RBIs. Nine Royals had hits in the game. In the second game, Winner/Colome won 11-2. Riley Calhoon earned the win pitching three innings and giving up no runs on no hits, 1 walk and 5 strikeouts. Drew DeMers pitched the final two innings and gave up 2 runs on 2 this, no walks and 1 strikeout. Batting, Calhoon had 3 singles and 3 runs scored and two RBIs. DeMers and Lantz each had singles and 2 runs scored. Winner/Colome will play McCook/Miner on Friday at 7:30 p.m. in the state tournament. The Winner Junior Legion baseball team won one game and lost two in the Sioux Falls Mid Summer Classic this weekend. Winner lost the first game to Pierre 8-7. Phillip Jorgensen was the pitcher. Leading hitters were Jorgensen with 2 doubles and a single with 4 RBIs, Oscar Pravecek with 2 hits and Kameron Meiners with 2 hits and Joren Bruun with 2 hits. Winner was defeated by Sioux Falls MB Silver 15-10. Leading hitters were Jorgensen with 2 doubles, a home run and single with five RBIs. Preston Norrid had 2 hits and Kameron Meiners had 2 hits with Joren Bruun adding 2 hits. In the third game, Winner shut out Brookings 10-0. Meiners was the pitcher for Winner. Coach Justin Vietor said Meiners threw the ball well in this game. Leading hitters were Bruun with 2 hits, Jorgensen with 3 hits, Pravecek with 2 hits and Dalton Baker with 3 hits. Winner Junior Teeners were eliminated by Tea 16-6 in the Regional tournament. Zach Bohnet and Jesse Colson pitched. Bohnet had 2 RBI’s and Adam Bohnet had an RBI triple. Michael Olson, Owen Monk, Evan Farner, Charley Pravecek and Ashton Klein also had hits. In the opening game, Winner lost to Wagner 13-3. Zach Bohnet and Brady Fritz shared pitching duties. Fritz had a home run and a single, Farner and Kolbie Osborn each had 2 hits and Owen Duffy reached base four times. In the second game, Winner was victorious over Tri Valley 12-0. “Farner pitched a gem of a game with 4 shutout innings and had 5 strikeouts,” said coach Jon Hanson. On the offensive side, Fritz had 4 hits, Farner, 2 hits, Klein and Osborn each had a hit. Marilynn L. Vesely, Age 87, of Riverside, Calif, formally of Winner, passed away on June 29, 2017 at Riverside Raincross Senior Living. She was born on April 27, 1930 in Kennebec and had lived in Riverside for 55 years, previously in Moser through grade school, Winner through high school, Vermillion through college where she obtained a BA and Master’s of Arts Degree and Pine Ridge until 1962. She worked for the Bureau of Indian Affairs, Pine Ridge teaching until 1962, BIA Sherman Indian School as a counselor and owner of Arlington Business & Tax Service until 2015. She was a federal enrolled agent. She was a member of St. Thomas the Apostle Catholic Church in Riverside. “Ves” as she was affectionately called, never married, but she “adopted” several children into her heart who think of her as their mother: Yvonne Shields, Penny Giago and Gary Fredericks. They will sorely miss her. 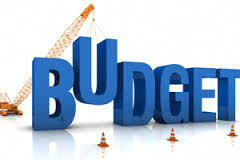 South Dakota state government closed the 2017 budget year on June 30 marking the sixth consecutive year with a surplus, Gov. Dennis Daugaard announced today. Despite lower revenue, the state general fund budget for Fiscal Year 2017 ended with a $7.9 million cash surplus due to lower expenditures than budgeted. The Governor’s Office of Economic Development (GOED) is pleased to announce the details for the Bulldoze, Build, and Beautify (BBB) activity under the Community Development Block Grant (CDBG) program. GOED has set aside $1 million of its FY 2017 CDBG allocation to support this activity. PIERRE – Extreme drought has worsened over the past week in north-central South Dakota. The latest U.S. Drought Monitor map shows nearly 11 percent of the state in extreme drought, up from a little over 4 percent last week. Roughly 31 percent of the state is rated in severe drought, which is up slightly from a week ago. Another nearly 31 percent of South Dakota is experiencing moderate drought conditions, an increase from just below 24 percent last week. The Agriculture Department estimates that the state’s winter wheat crop will total 28 million bushels, down 56 percent from last year, and the spring wheat crop at 32 million bushels, down 32 percent. The department has designated numerous counties in the Dakotas and Montana as natural disasters, paving the way for federal aid.